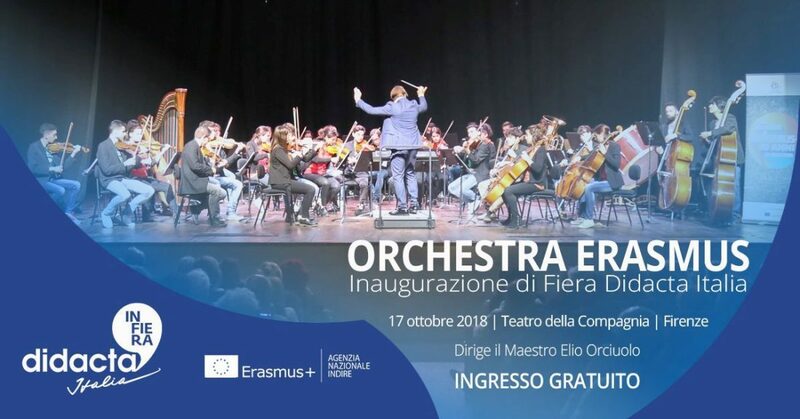 This year the Erasmus Orchestra will perform again in the inaugural Concert of Fiera Didacta Italy, the great event on the school world scheduled in the Tuscan capital from 18 to 20 October. The concert will take place on Wednesday 17 October at 6.30 pm at the Teatro della Compagnia in Florence (via Cavour 50 / R). 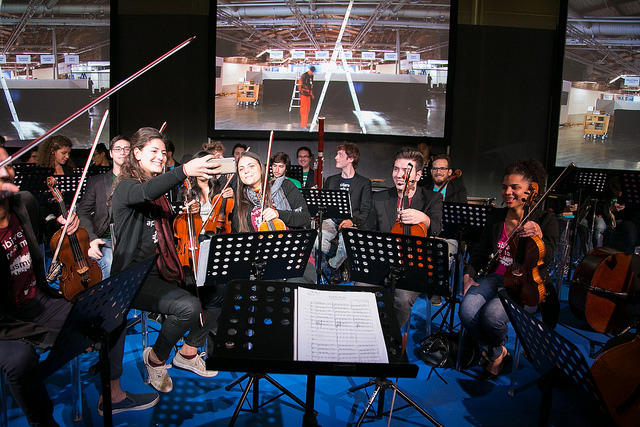 Directed by Maestro Elio Orciuolo, the orchestra is composed of 50 musicians from the Conservatories of Florence, Trento, Salerno, Mantua, Monopoli, Lecce, L’Aquila, Naples, Cosenza, Venice, Potenza, Avellino, Padua, Genoa, from the Higher Institute of Musical Studies “Giuseppe Verdi” of Ravenna and the School of Music of Fiesole. The programme includes music by Rossini, Bizet, Puccini and Beethoven. The event is free admission and subject to availability. To participate you must register on this page.